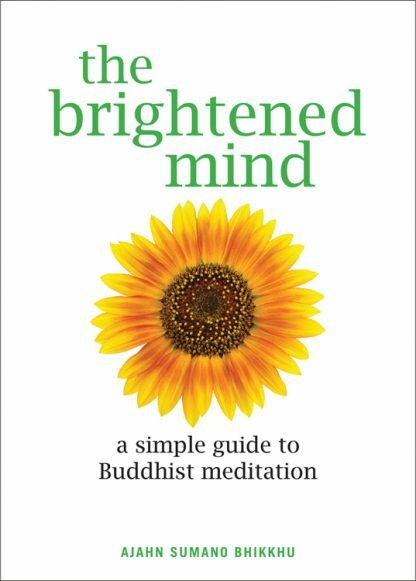 The brightened mind is one that is able to make better choices," says Sumano Bhikkhu. Having left the hectic world of Chicago real estate decades ago to become a Thai Buddhist monk, he knows what he�s talking about. This simple, short introduction to meditation, particularly well suited to young people, can help anyone rattled with the stresses of living in today�s society rife with financial uncertainty, war, crime, and the psychological assaults of bosses, teachers, and the media. His methods increase awareness, strengthen positive mental states, and develop insight. Eventually, the feeling of being overwhelmed becomes replaced with a sense of innate brilliance and trust in one�s natural abilities. Moreover, the meditation Sumano teaches opens access to the infinite wisdom of the Universal Mind. An appendix on lovingkindness is an added benefit, providing the tools needed to face all challenges with a poised, cool, and compassionate heart.